Moto Tec Sandman 49cc Gas Power Go Kart is more fun than a barrel of monkeys! Moto Tec Sandman Kart brings a whole new experience in family karting. 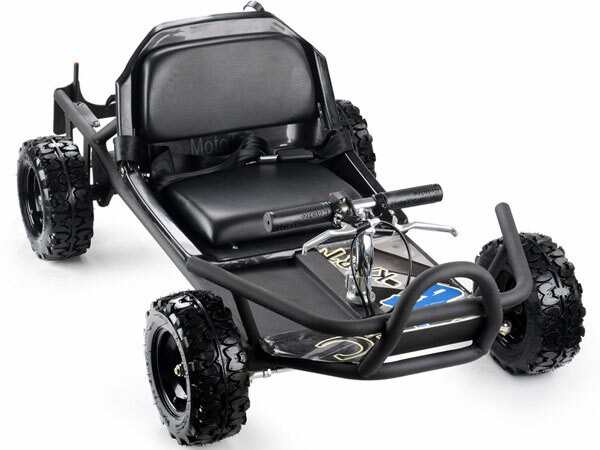 Smaller size than the typical kart the Moto Tec Sandman Go Kart is great for kids and adult size riders. Built with the famous Moto Tec quality for years of use. Straight forward design uses strong tube steel for it's frame and bumper. Full joint welds add safety and stability. Moto Tec Sandman Mini Kart has easy, convenient hand controls. Squeeze type finger throttle. Hand lever brake operation. Bright red "kill button. Steel bumpers help protect cart and driver. 8 inch tall rubber tires with "knobby" tread design for great traction. Padded seat can fold. The Sandman go kart comes with a seat belt to keep you firmly anchored. Metal, foot and leg floor pan. Sandman Go Kart Is Easy To Operate. 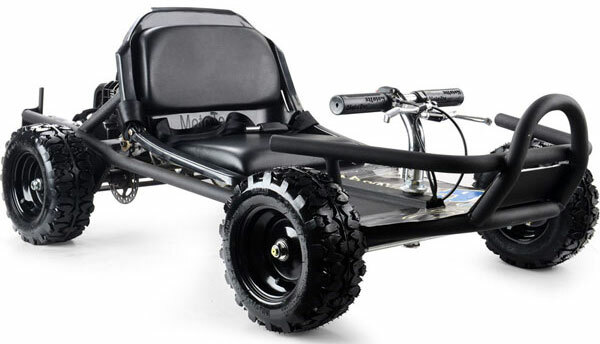 The Moto Tec Sandman Kart sports a dependable and powerful 49 cc gas power 2 stroke engine.This incredible go kart can archive speeds up to 30 mph and handle riders up to 200 pounds. Automatic clutch for easy operation. Just squeeze the throttle and away you go. Sandman go kart uses a vented, rear axle disk brake actuated by hand lever on handlebars. Bright red "kill" button on handlebars at the thumb position. 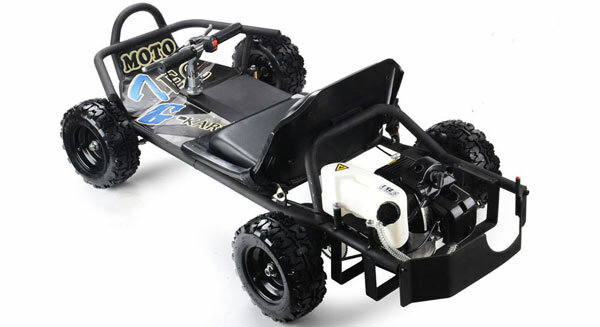 The Moto Tec Sandman 49cc gas go kart delivers up to 20 miles per tank of fuel. A parent's decision to allow their child to ride this product should be based on the child's maturity, skill and ability to follow rules. Click the button below to add the MotoTec Sandman 49cc Gas Go Kart to your wish list.